Louisiana is one of the few states in the country with a direct action statute. A direct action statute allows an injured person (the plaintiff) to sue the insurance company of the person or entity who caused their injury directly. In other words, the plaintiff does not even need to sue the person who hurt them to be able to sue the insurance company. They can skip right to suing the insurance company. The insurance company defends itself and is entitled to most of the same rights and defenses in court as the person who caused the injury would have been. This means that time limits and other procedural concerns still apply, but things like spousal immunity generally do not. Insurance companies are armed with good lawyers, and you should be too. Contact one of the experienced Kenner Personal Injury Attorneys listed here to help you get the justice you deserve. 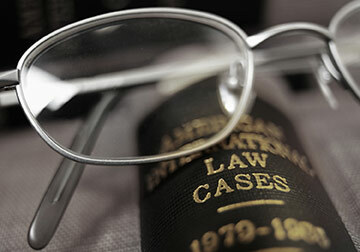 A Kenner personal injury attorney will be well versed on who to sue and what parish to file the personal injury lawsuit. Kenner injury and trial lawyers have fought for years to keep the direct action statute on the books in Louisiana. Almost every legislative session, someone tries to legislatively repeal it. Insurance companies and insurance defense lawyers advocate its repeal because, they argue, it increases the size of the verdicts. Serving clients throughout Southeast Louisiana, including Algiers, Alma, Bridge City, Chalmette, Destrehan, Elmwood, Gretna, Harahan, Harvey, Kenner, Lulin, Maraux, Marrero, Metairie, Mt. Airy, Kenner, River Ridge, South Kenner, Slidell, St. Benedict, St. James, St. Rose, Terrytown, Westwego, and other communities in Jefferson Parish, Jefferson Parish, St. Bernard Parish, and the French Quarter. If you or a loved one is in need of an attorney to sue an insurance company, whether it be for something they have done to you directly or under the Louisiana Direct Action Statute for the actions of one of their policyholders, contact a Greater Kenner area personal injury attorney on this site for a free initial consultation.